The cost of shorting bitcoin could skyrocket once futures trading starts on Sunday, says S3 Partners. 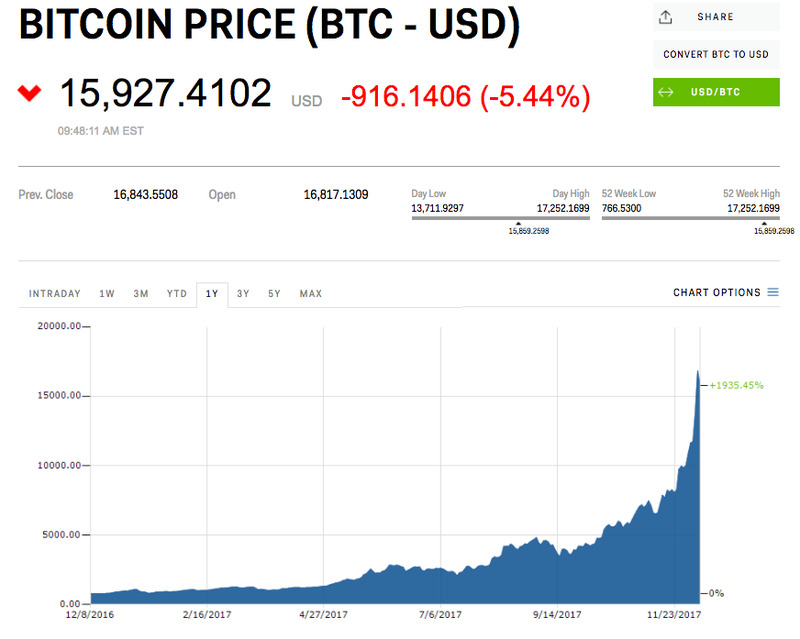 The ultra-volatile cryptocurrency has seen massive fluctuations in recent days, and making bets on either side of it is about to get more expensive. If you think bitcoin has gotten out of hand, now is the time to make your wagers against the surging cryptocurrency. New short positions on bitcoin are being charged an 18.5% fee right now. But that could swell to over 50% and possibly even approach 100% by the time Cboe Global Markets launches bitcoin futures trading on Sunday, according to financial analytics firm S3 Partners. However, those who elect to short bitcoin should do so at their own peril, because the start of futures trading will also make it easier and safer for speculators to bet on further increases. Either way, transacting bitcoin is about to get more expensive for everyone involved, says S3. “Both sides will be paying a premium in order to ride the bitcoin roller coaster once the CBOE futures start trading,” Ihor Dusaniwsky, S3’s managing director of predictive analytics wrote in a client note. For context, the shorting method being analysed by S3 involves the Grayscale Bitcoin Investment Trust, which is currently the only active exchange-traded fund whose performance is directly tied to the cryptocurrency’s market price. But it may not be the only game in town for long, as ETFs backed by the Winklevoss twins and SolidX Partners may get a boost in their quest for regulatory approval once futures trading is live. 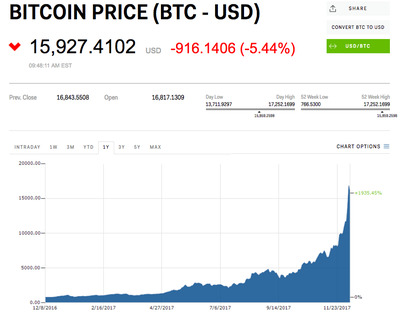 Anyone investing in bitcoin will have to contend with a great deal of volatility. Since December 5, the digital coin’s price surged from just below $US12,000 a coin to more than $US17,000 at its peak. And in between, the cryptocurrency experienced intraday swings that created and erased billions of dollars of value in a matter of minutes. Ultimately, if you think those rapid fluctuations will start being more pronounced to the downside, it’s best to make your wagers now, before the price of transacting gets too steep.